Updated 3/25/2013 This A2 genga shows Alcyone struggling even more desperately, as the blackness threatens to engulf her head. Notice how the genga gives the darkness more substance, as if it were something both fluid and extremely hard. Here is a simple alternation of the two images so you can see how difficult the struggle becomes. The first thumbnail shows, again, the corresponding layout. 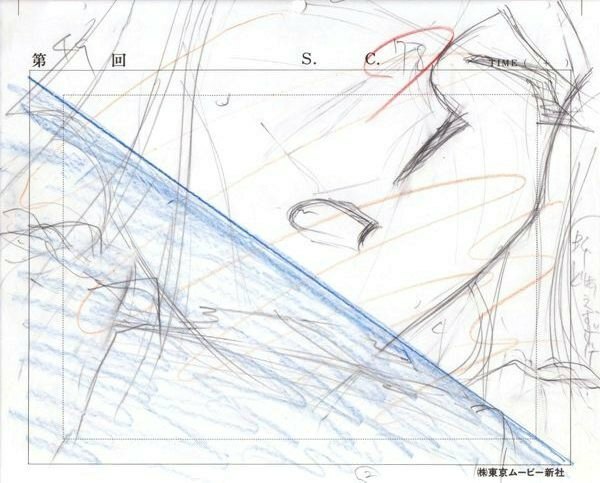 The second shows a partial shuusei, scanned against the genga for context. 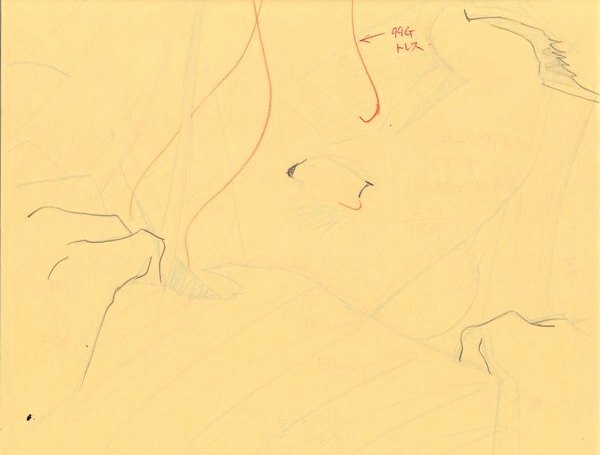 Notice that animation director Ishida made Alcyone's hands less angular and more natural, and also added some "flyaway" strands of hair, a interesting habit of the AIC studio both in Rayearth and in the team's next project, the Vampire Princess Miyu TV series.